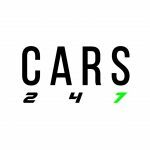 You know when you were sat in Math class, wondering what you would do if you have a few million to build a car? You then put pen to paper and probably drew something similar to this. 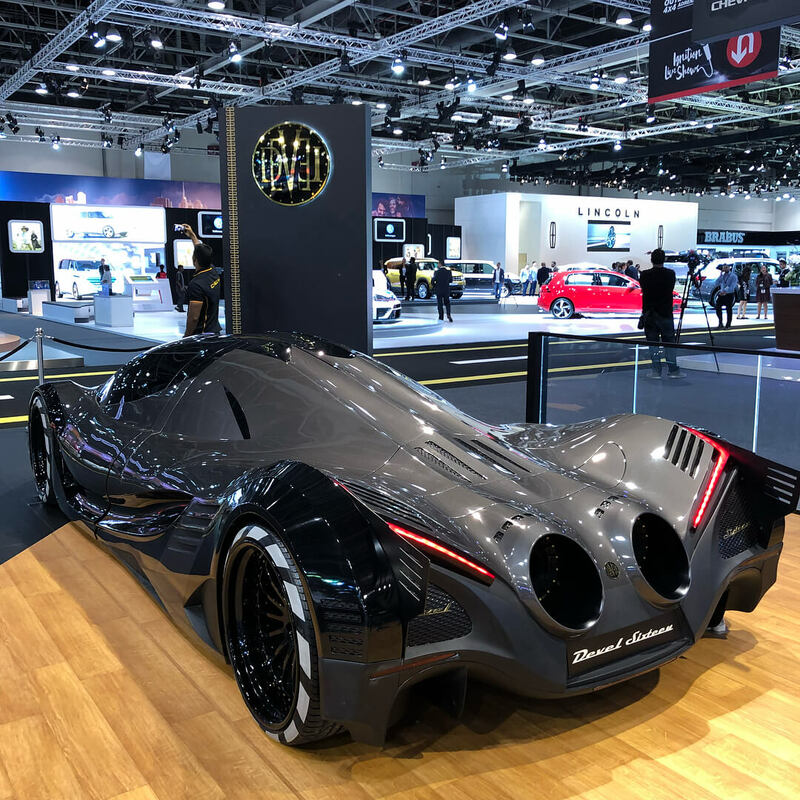 The Devel Sixteen – Launched at the Dubai Motor Show this week. The figures are also from your childhood math class. 5000HP – 350MPH – Quad Turbo V16. So Devel is serious. With the backing of big Dubai money they are coming for the big guns. Bugatti, Koenigsegg, Hennessey. Sadly, even if the car can make good on its crazy claims, the Sixteen won’t be street legal. 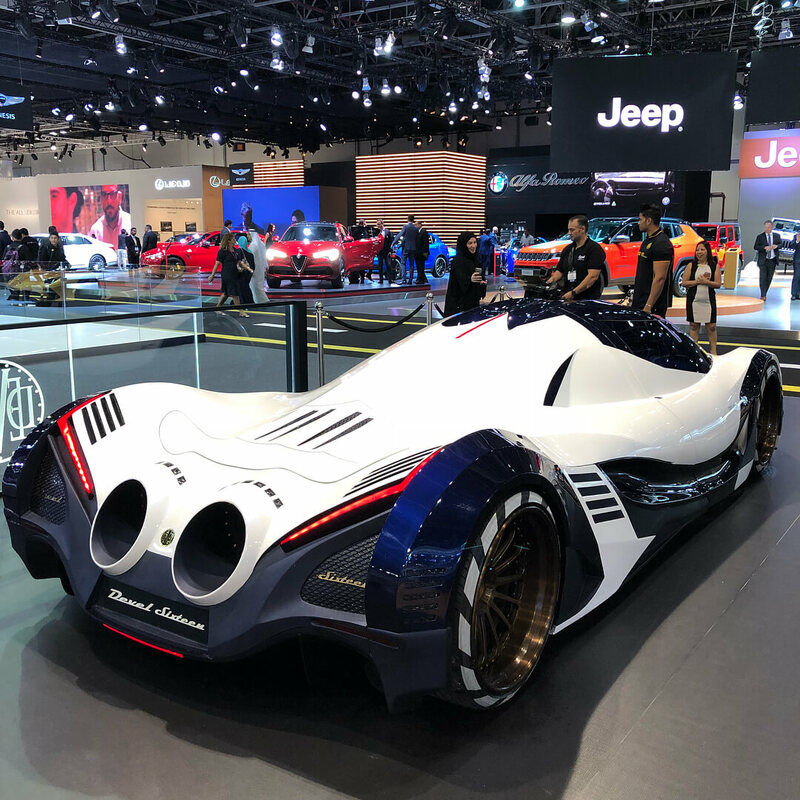 Devel developer Rashid Al-Attari told CNN the Sixteen is “more of a dragster” and says the company is developing two versions for road: A 2000HP V8 and a V16 quad-turbo that makes 3000HP. Italian motorsports house Manifattura Automobili Torino (MAT) is helping put the Sixteen into production. With the sixteen expected to complete within the next 18 months. MAT specializes in one-off builds and is responsible for the beautiful Scuderia Cameron Glickenhaus’ SCG003S. The 12.3 liter, V16 quad-turbo, 5007HP engine roughly designed from a Jet engine surely one of the many stumbling blocks along the way as they figure out how to find tires that can put down 5007HP without disintegrating. 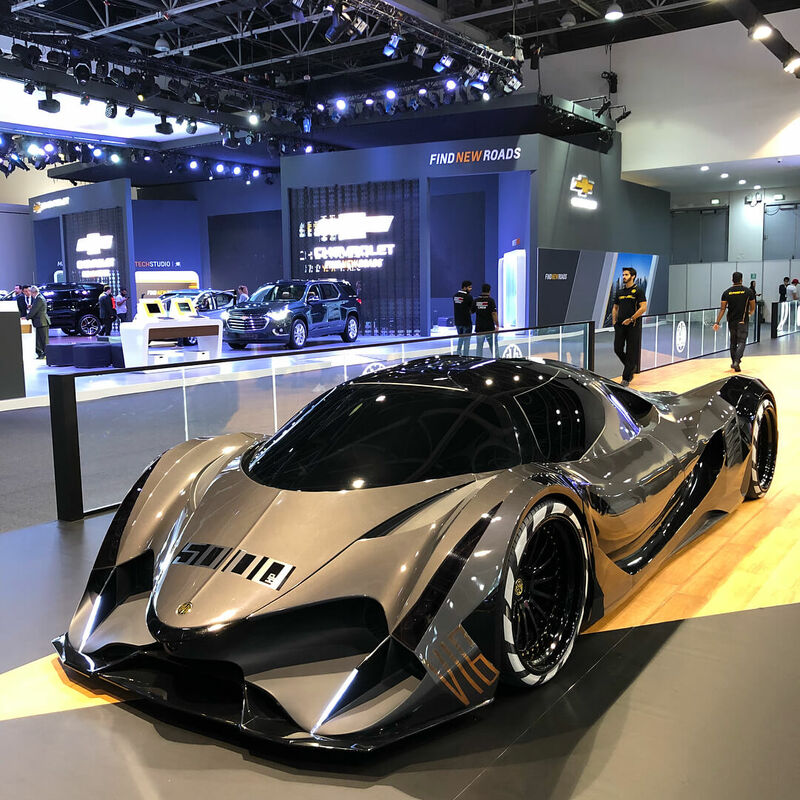 The road going version of the Devel Sixteen will cost between $1.6 million and $1.8 million, depending on the spec you go for, though the company apparently has no plans to limit production numbers. 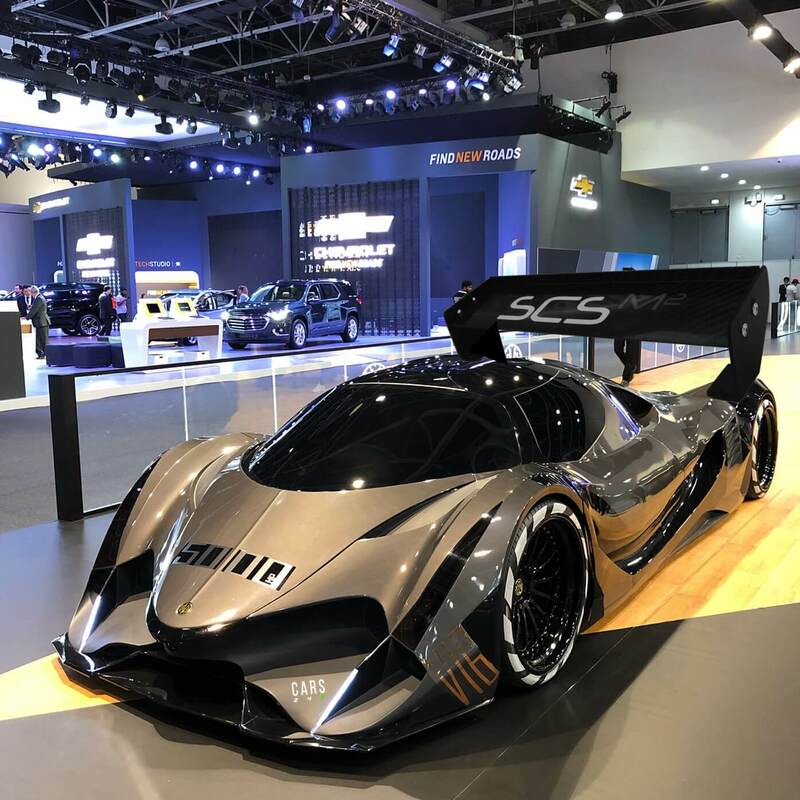 Production run likely limited to the Devel Sixteen itself and its own constraints. When 5007HP as a power figure is claimed its easy to dismiss as fiction but remember when Bugatti claimed 1001HP with the Veyron? – and we all know what happened next. 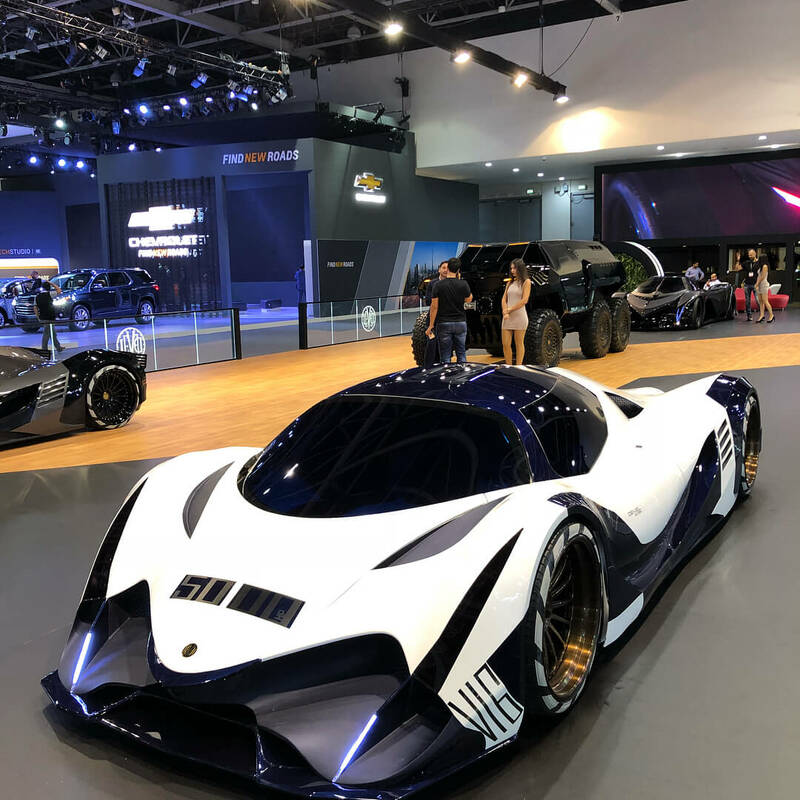 Best to see this launch as a teaser – Devel just making you aware that craziness is being cooked up in Dubai.